Court report warned that Loughner condition was "fragile"
(AP) PHOENIX - A psychological report released Thursday warned that while Jared Lee Loughner was competent to plead guilty in the Tucson mass shooting, he remained severely mentally ill and his mental condition could deteriorate under the stress of a trial. The report was prepared in late April by a federal Bureau of Prisons psychologist who testified in court Tuesday before a judge allowed Loughner to plead guilty in the January 2011 mass shooting. Psychologist Christina Pietz's report said Loughner's improved condition was due to medication. But because his condition could "wax and wane, I recommend the court expeditiously address issues related to his situation," Pietz wrote. "Mr. Loughner is currently competent to proceed. However, because of his fragile mental state, there is no guarantee he will remain competent for an extended time." Loughner pleaded guilty to 19 counts under a plea agreement that guarantees he will spend the rest of his life in prison. He is to be sentenced in November for the mass shooting that left six people dead and former U.S. Rep. Gabrielle Giffords and 12 others wounded. The report covering a period from late January to late April said Loughner generally was kept separate from other inmates at the Springfield, Mo., federal prison where he has been held nearly the entire time since the shooting. However, the report said Loughner participated in competency restoration, group and recreational therapy groups with small numbers of fellow mentally ill inmates. He also met several times a week with members of his legal defense team, the report said. Medication was controlling the psychotic symptoms of Loughner's schizophrenia, Pietz said. And while he remained on suicide watch, his hygiene improved, he participated in inmate groups' discussions and regularly worked with his lawyers, the report said. 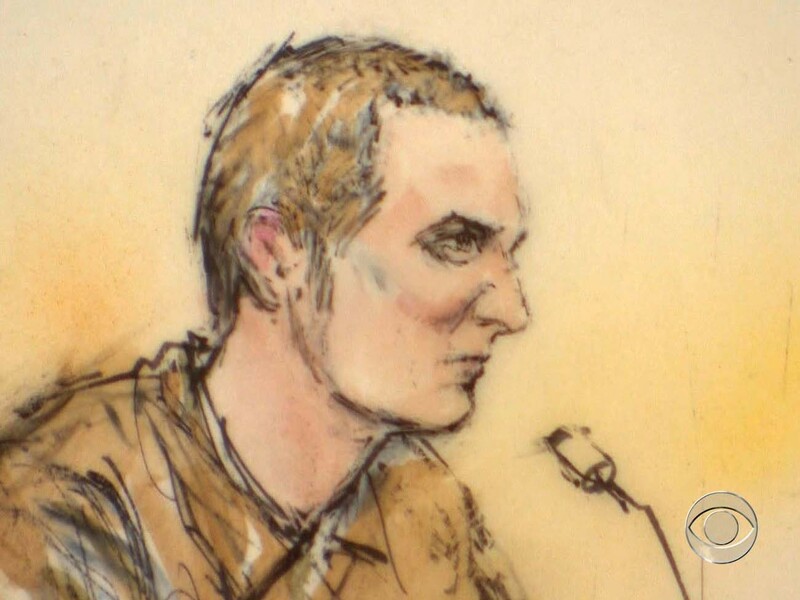 Early on in his time at the Missouri facility, Loughner said he believed reports that Giffords survived the shooting were fake, Pietz wrote. But the medication helped him understand he was wrong, and on Jan. 23, 2012, Loughner told Pietz that he had seen Giffords recite the Pledge of Allegiance on television the previous night. Loughner and Pietz discussed Giffords' resignation from Congress, and he didn't voice disbelief that she had survived. The next day, however, he spoke about a TV news report of the January 2011 shooting. He told Pietz that Giffords was going to attend the State of the Union address, and described seeing other victims and the man who held him down after the shooting. This time, he was doubtful that Giffords really was alive. "I swear to you that's not the woman I shot," he told Pietz, according to her report. "The woman I shot died instantly. No one could survive that gunshot wound to the head." Pietz described that thinking as not irrational, since many people believe such a wound can't be survived. But she also wrote that Loughner's disbelief was a defense mechanism, because Giffords' survival was yet another indication that he's a failure. Giffords' survival, he told Pietz, is "another failure if she's alive. Jared Loughner failed again." One therapy group was devoted to restoration of competency to participate in court proceedings, and Loughner understood that accepting a plea agreement meant surrendering the right to a jury trial, the report said. Loughner told Pietz he wanted "a favorable outcome (in his case) but acknowledged he would most likely be sentenced to life in prison," her report said. U.S. District Court Judge Larry Burns has ordered Loughner returned to Springfield for continued treatment until his Nov. 15 sentencing.